I recently made this game! 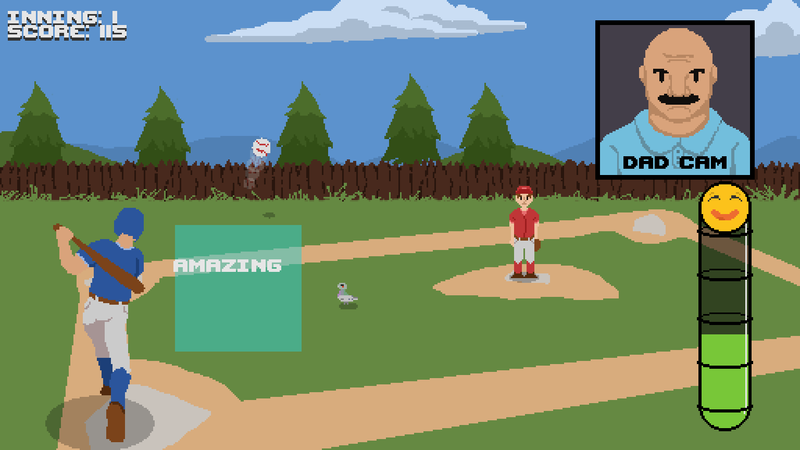 It's a game about playing baseball and trying not to cry so your dad won't get mad at you. You can play it in-browser or download the .exe on Windows (both for free!). The core gameplay is home-run derby style, where the pitcher just throws balls at you and you hit them back with the mouse. The catch is that the pitcher starts throwing more and more crazy pitches at you, and you also have to keep your emotions in check via a meter on the right side of the screen. Try to get the highest score you can!